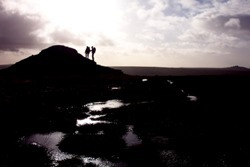 Take a walk on the wild side in the West Country's last great wilderness - the scene of an annual classic challenge 'The Ten Tors'. 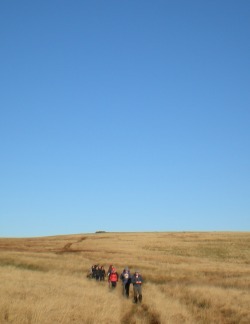 We'll recreate our own Ten Tors challenge taking in the very best of the Moors - trekking around 35 miles over two days. Yes Tor, Fur Tor, Steeperton Tor, South Hessary Tor... the list of memorable tors dotted across the moor is extensive, but we shall visit just 10 during our challenge this weekend. We'll have the opportunity to explore the length and breadth of this precious and breathtaking wild landscape, covering approximately 35 miles over 2 days, and there'll be a chance to take a look at the geology, history and some of the botany of this amazing and unique landscape. If you missed out on the Ten Tors as a youngster, this is your chance to recreate it as an adult. 21:00 - Event Briefing for following 2 days. 17:00 - Expected arrival at the end of challenge - return to Princetown for tea, cake or possibly something stronger before heading home. 2 nights bunkhouse accomodation in Princetown or surrounding area. Mountain Training UK Qualified and experienced first aid challenge leader. 2 nights bunkhouse accomodation including breakfasts. Pre-event support from our in house challenge consultants. Transport to and from event. during the Spring and summer months we should expect good weather however conditions on the Moor can change quickly, so be prepared for cold and wet conditions too. Parts of the Moor can become boggy after rain and take a long time to dry out. Gaiters are highly recommended for this event.